It’s official. 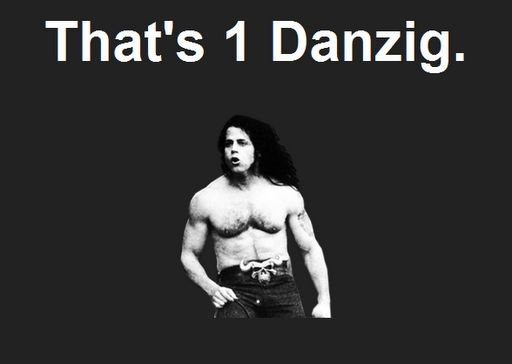 Me = 1 Danzig. I am proud to know that. Thank you, mother. Previous Previous post: UPDATED JUNE 23, 2011: Who’s Afraid of Ai WeiWei?